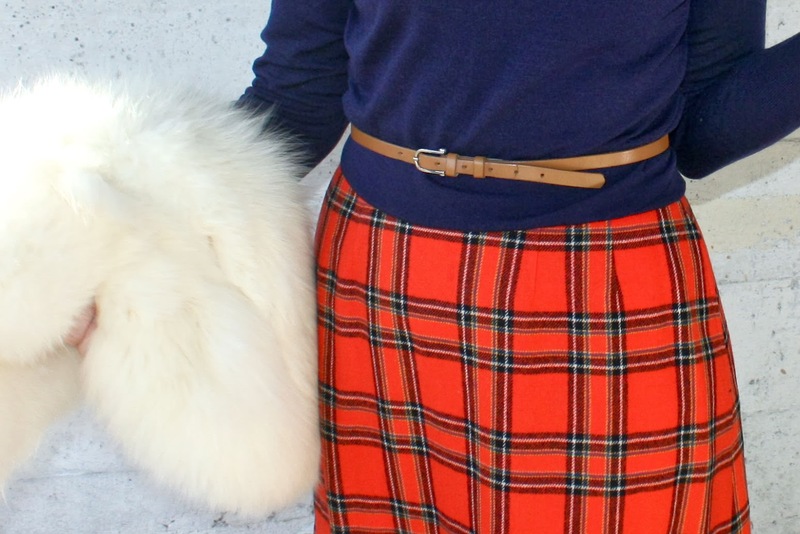 I paired it with a simple wool sweater, a skinny belt, and a strand of vintage rhinestones. For outdoors, the fur would be around my shoulders. If you're interested in the skirt, you can contact me or Bella. It's also available at Beats & Bohos in the Greenwood. 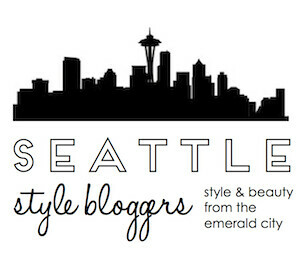 If you're not in the Seattle area, you can also find her vintage goods on Etsy! We're planning a big giveaway in January, so stay tuned! Haha I love when I find vintage matching separates. You could always wear the jacket in a different outfit! 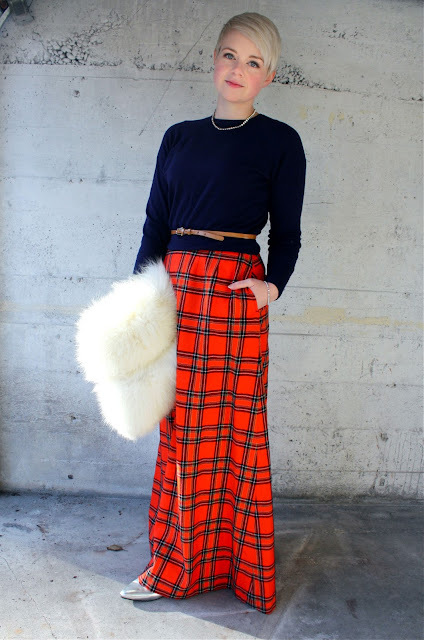 I love this plaid skirt though. It's perfect for this time of year. That skirt is gorgeous! I love tartan! Wow, super cool skirt O_O You gorgeous lady! Simple and elegant and perfect. You win again, Catie!